Redesigned for a truer vintage tone. 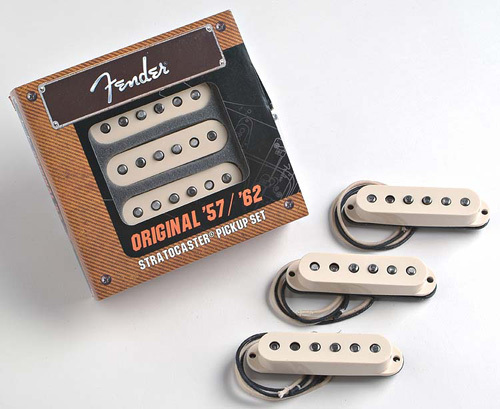 Reverse engineered from a coveted '63 vintage Strat, these pickups deliver the original vintage Strat® sound. The staggered, beveled edge Alnico 5 magnets with Formvar magnet wire produce glistening highs and warm lows that are unmistakably vintage. This is the tone. OEM on '57 & '62 American Vintage Stratocasters. Includes 6 nickel plated Phillips oval head mounting screws, 6 rubber surgical height adjustment tubing, aged white pickup covers and wiring diagram. 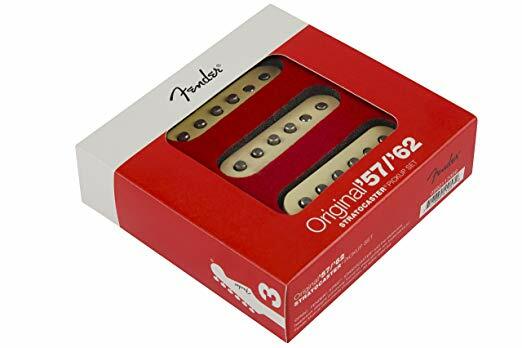 Packaging may be visually different as Fender changes graphics on packages from time to time.